History: Ray Lloyd's a man who was born to be tough. With a family history in law enforcement, Lloyd decided to take his skills into a different field. A former Southeastern Super Heavyweight Full Contact Karate champion, Lloyd wrestled some in the independent circuits, as well as the UWFI in Japan, before coming to WCW in 1997 with huge hype, being called the "Blood Runs Cold" angle. After a brief period of being undefeated, Glacier's hype soon slowed way down. With no WCW titles under his belt yet, Glacier became a midcarder, and had feuds with Saturn and other wrestlers after he claimed his Cryonic Kick was his and his alone. During a match against Bill Goldberg, Glacier was injured, and was on the shelf for several months. He reappeared in late October '98, offering his aid to Ernest "The Cat" Miller, who told him he didn't need any help. Glacier then got into a minor feud with Wrath, who promptly destroyed him. Glacier then became a jobber for a few months, barely getting any push whatsoever. In '99, Glacier sold off his armor, his show-making machine, and even his music. His armor was bought by Kaz Hayashi, while Ernest Miller temporarily had his music and snow-making machine. "Glacier" then disappeared from WCW. For a brief time near the end of '99 (I believe), the man formerly known as Glacier appeared under the name Buzz Stern, a coach with a tough attitude. But this angle did not last, and once more, Ray Lloyd faded into obscurity. At Mayhem '00, a Glacier promo once again appeared, surprising the world and signaling a return for the coldest man in WCW. He seemed to be in contact with Norman Smiley, who believed that Glacier would aid him in his matches, making him unbeatable. Time and time again, though, when Smiley was in trouble, Glacier did not appear, and Smiley usually lost. Finally, during a Smiley bout, Glacier came down to the ring. Instead of helping, however, Glacier posed for the fans and walked around the ring, even as Smiley was losing inside. This happened a few more times, with Glacier never seeming to help Smiley. The angle then apparently died out. Glacier later was found in Turnbuckle Championship Wrestling, teaming alongside Jason Sugarman. The TCW is run by "The American Dream" Dusty Rhodes. In July '00, Glacier, wrestling as Ray Lloyd, reached a personal milestone, winning the TCW Heavyweight Title by beating Jorge "Hexxy" Estrada in the tournament final. Lloyd would keep the belt for a few months before losing to Barry Windham in October. In April '01, Glacier & Estrada, having united, defeated Scotty Anton & Sonny Siaki to win the TCW Tag-Team Titles for the second time. They defended them frequently, until falling to Public Enemy in July. 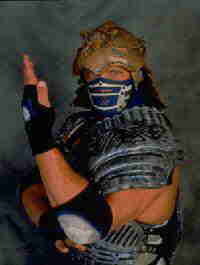 Lloyd continued to wrestle for TCW for the next year, eventually reverting to "Glacier". He teamed with Ron Studd in March '02 to take the TCW Tag-Team Titles from Southside Trash. - UWFI Sumo Hall (July '93) = Ray Lloyd was beaten by Yuko Miyato. - WCW Uncensored '97 = Glacier defeated Mortis. - WCW Slamboree '97 = Glacier, via DQ, again got the win over Mortis. - WCW Great American Bash '97 = Glacier managed to defeat Wrath. - WCW Bash At The Beach '97 = Glacier and Ernest Miller lost to Mortis and Wrath. - WCW World War III '97 = Glacier and Ernest Miller were defeated by Meng and the Barbarian. Later in the night, Glacier competed in the "3 Ring Battle Royal", which was won by Scott Hall. - WCW World War III '98 = Glacier was easily defeated by Wrath. 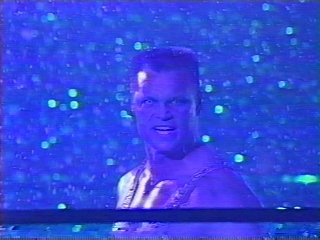 Later in the night, Glacier competed in the "3 Ring Battle Royal", which was won by Kevin Nash. - TCW Carrollton Show (June 30, '01) = Glacier & Jorge Estrada won, via DQ, over the Dobbins Brothers. The duo retained the TCW Tag-Team Titles. - TCW Woodstock Show (December 7, '01) = Ray Lloyd fell to the TCW Champion, Scotty Riggs. - TCW Deland Show (December 28, '01) = Glacier & Jason Sugarman won the NWA Tag-Team Titles from the Heavenly Bodies. - TCW Live Oak Show (December 29, '01) = Glacier & Jason Sugarman dropped the NWA Tag-Team belts back to the Heavenly Bodies. - TCW Carrolton Show (January 26, '02) = Glacier beat Sonny Siaki. - TCW Carrolton Show (February 2, '02) = Glacier won a "Triple Threat" Match over Jorge Estrada and the Reverend. - TCW Carrolton Show (February 8, '02) = Glacier fell to the Reverend. - TCW Carrolton Show (September 14, '02) = Glacier won the vacated TCW Title, beating Damien. - PCW Reunion Show (October 19, '02) = Ray Lloyd & Scotty Riggs lost to Buff Bagwell & the Disco Inferno. - TCW Cleveland Show (March 1, '03) = Glacier beat Jason Sugarman. - CHIKARA King of Trios Tournament '08, Night Two (March 1, '08) = Glacier & Los Ice Creams lost in the opening round of the King of Trios '08 Tournament to the eventual winners, Los Luchadores (Lince Dorado, Incognito, & Pantera). - CHIKARA King of Trios Tournament '08, Night Three (March 2, '08) = In a non-tournament match, Glacier lost a "Four Corners Elimination" Match to Vin Gerard. Reno Diamond and Martin Stone were the other participants. - CHIKARA King of Trios Tournament '09, Night One (March 27) = The Cold Front 2.0 (Glacier, D'Lo Brown, & Al Snow) lost in the opening round of the King of Trios '09 Tournament to The UnStable (Colin Delaney, Vin Gerard, & STIGMA). F.I.S.T. (Gran Akuma, Chuck Taylor, & Icarus) won the tournament. - CHIKARA The Bobliographon (April 26, '09) = Glacier fell to Vin Gerard. - CHIKARA Aniversario Yang (May 24, '09) = Glacier & D'Lo Brown defeated The UnStable (Colin Delaney & Vin Gerard).